La suite du fabuleux roman Courir après le diable, est annoncée pour le 09 juin prochain, aux éditions Rivages ! Jass sera la seconde enquête ayant pour héros le détective créole Valentin Saint Cyr. Si dans le premier opus, c'était l'immense Buddy Bolden qui était l'autre héros du roman, cette fois, ce sera le pianiste Jelly Roll Morton qui aura l'honneur d'être à son tour intégré à l'intrigue. Fulmer's second Storyville mystery, starring Creole detective Valentin St. Cyr, more than lives up to the promise of its predecessor, Chasing the Devil's Tail (2001). Again vividly evoking the early days of jazz in turn-of-the-century New Orleans, Fulmer puts St. Cyr on the tail of a femme fatale whose ghostlike appearances seem linked to the serial killings of the members of a Storyville jazz band. 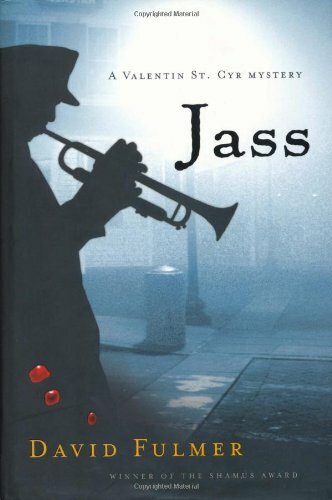 As the earlier volume featured legendary cornetist Buddy Bolden in a key role, this volume draws pianist Jelly Roll Morton into the plot, which follows St. Cyr as he defies both cops and politicos to expose not only the killer but also the high-level cover-up behind the crime. Unlike so many historical mystery authors, Fulmer avoids seeding his story with artificially placed period props; rather, the palpable ambience develops naturally out of the very real interaction between character and place. Pair this series with Bill Moody's Evan Horne novels, which feature real-life mysteries concerning modern jazzmen, and you've compressed a large chunk of jazz history into a handful of crime novels.